In the aftermath of a major hurricane like Irma, we all pause to take stock of our own preparedness. Who hasn’t bought an extra flashlight over the last few months? Generators, camp stoves and tarps: we’ve probably bought many things that will hopefully gather dust for many years before they are needed. The key to our survival? Local government and other organizations are also thinking towards the future, even if it is not always as much as we might hope. In Grand Case, power lines are being buried. The safety of coastal areas on the French side is being assessed to determine how and where we rebuild. Will the island recover stronger than ever? Will we rebuild smarter and safer? Will governments and companies make decisions that will reduce the impact of future hurricanes? History will be the judge of that. In the meantime, there’s at least one important thing we can do. 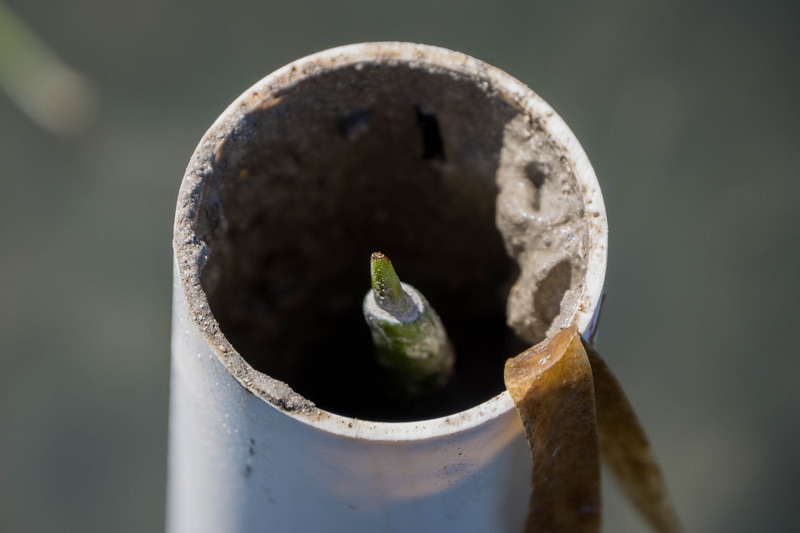 Mangrove sprouts, called propagules, can be gathered on the beach for planting. Native trees benefit both wildlife and humans. They provide food and shelter for birds and other animals. They also protect the island—and those who live on it—from some of the dangers of hurricanes. 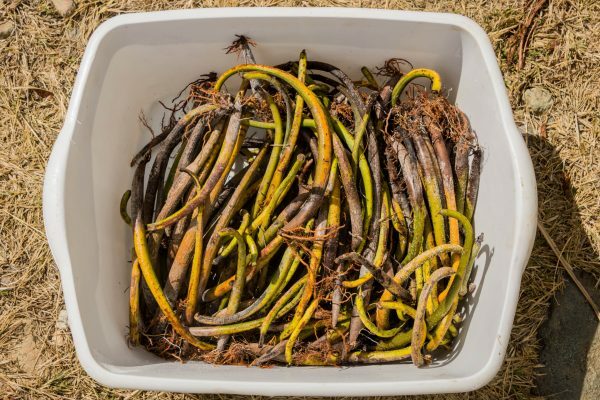 Planting them now can help us prepare for future storms. On our hillsides, native trees help retain soil. When a brushfire sweeps across a grassy hill, we can see the state of the land without trees. It is a mosaic of stones with just the slimmest veins of soil between them. Reforesting these areas can help to bring them back to life. It can also reduce the chance of landslides or loose stones causing damage during or after a storm. 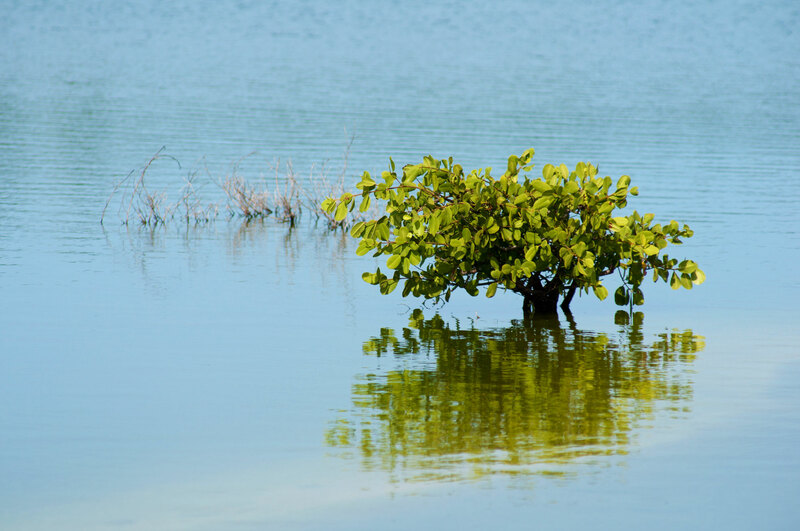 On our ponds and coastlines, mangroves and trees like the sea grape can help form a barrier against storm surge. These trees can absorb some of the energy of the waves, protecting homes further inland. They can also help save beaches and coastlines from erosion. We need to replace many trees that were lost during Irma. If we are being honest with ourselves, we also need to replace many trees that were lost before Irma as we cleared and developed the island. There are few other tasks so simple and so necessary. With some luck, our next major hurricane will be years away. The emergency radio you just bought will be so old you’ll have trouble finding it, and maybe it won’t even work anymore. But the trees you plant today will be standing tall and protecting us.